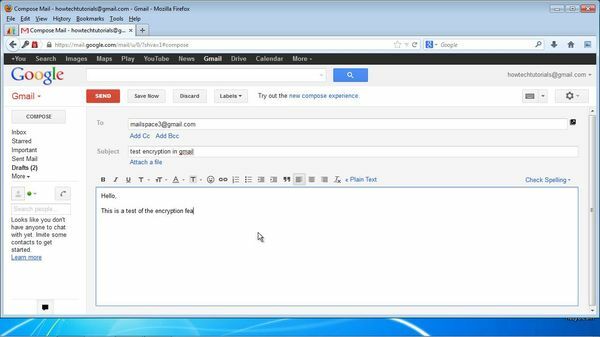 In this tutorial you will learn how to send an encrypted email in Gmail. Prerequisites: Firefox web browser, Gmail account, Internet. In order to send encrypted emails from Gmail, a Firefox extension has to be installed. Step 1. Open Firefox. Select „Tools – Add-ons”. 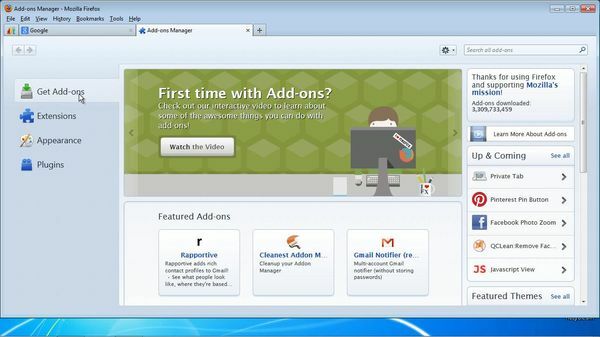 From the left pane, select „Get Add-ons”. Step 2. 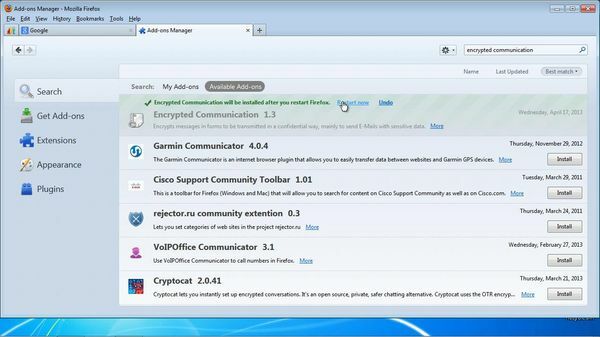 In the upper right box, search for “Encrypted Communication”. You should see the add-on listed first in your results page. Click Install. Step 3. After the confirmation dialog, your extension is installed and you are prompted to restart Firefox. Do so. Step 5. 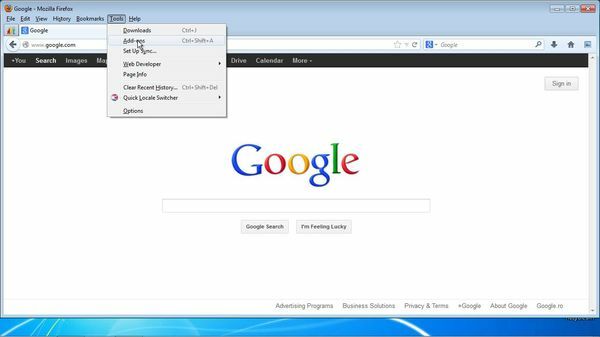 Right-click and select Encrypt from the menu. You will be prompted for a password and its verification. Insert the password that your correspondent needs to type to properly read your email. 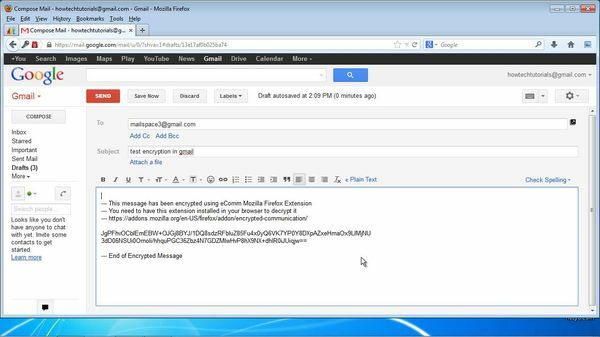 The extension automatically changes your email and adds a decrypting key to it. Step 7. On the recipient side: once the email arrives, it announces the need of eComm add-on. 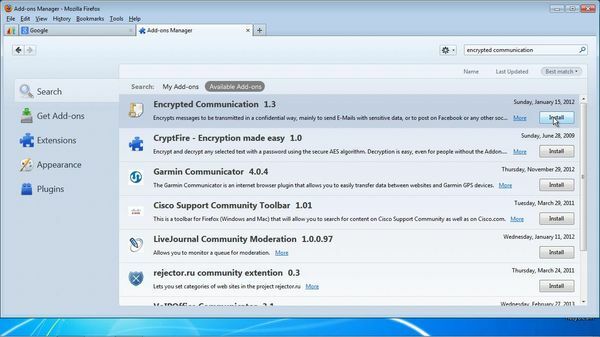 Once the extension is installed, the recipient needs to right-click, and select “Decrypt”. 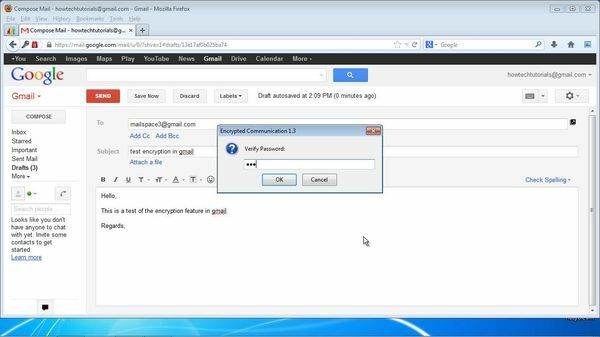 The extension will prompt for the encryption password. Step 8. After correct typing and verification of password, the original message appears. Result: you have now sent and received your encrypted email.